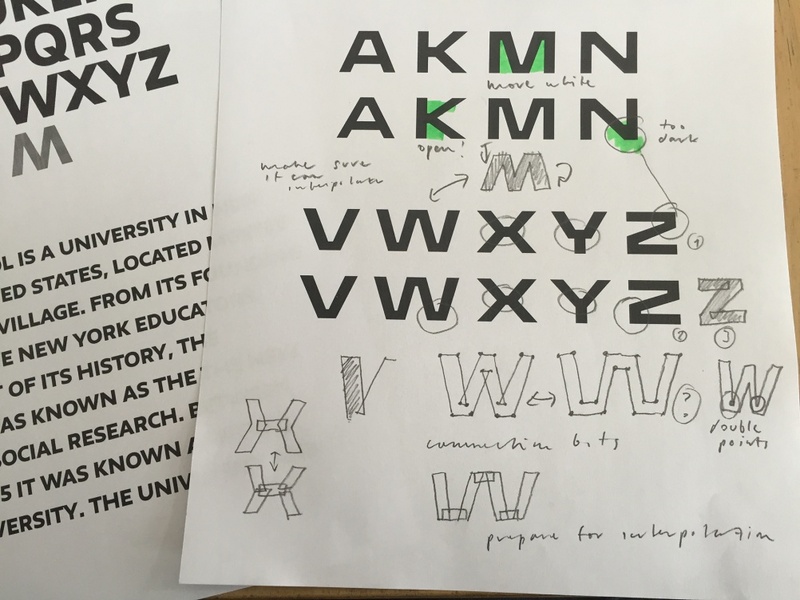 Pentagram partner Paula Scher has created a new identity for The New School in New York, which uses a custom typeface with regular, extended and very extended widths of the same font deployed “seemingly at random”. 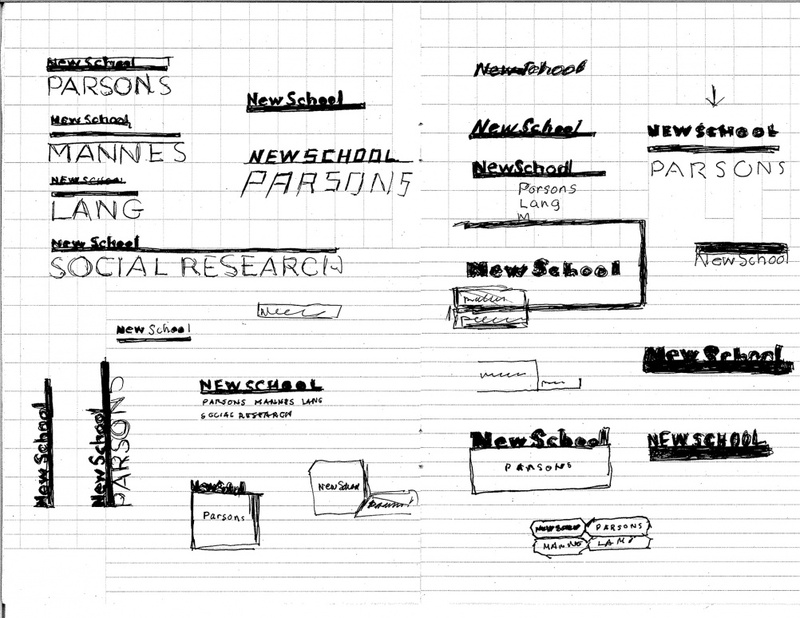 Pentagram partner Paula Scher has created a new identity for The New School in New York, the institution that includes Parsons The New School for Design. 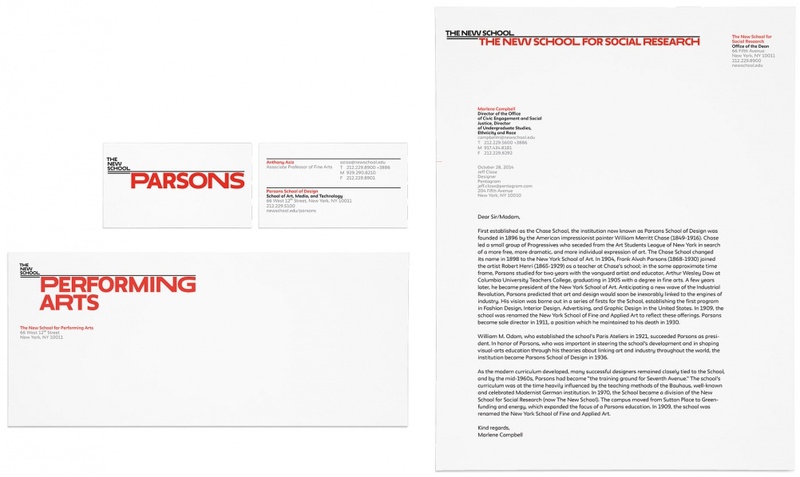 The identity uses a flexible custom typeface and, according to The New School, “reimagines what a design system can be”. 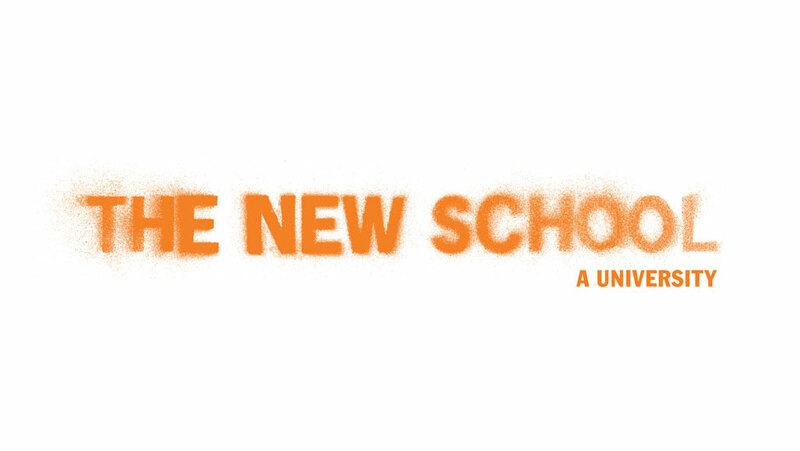 The new identity replaces the previous branding, which was developed by Siegel+Gale in 2005 and saw The New School brought in as a new name to replace the previous name New School University. 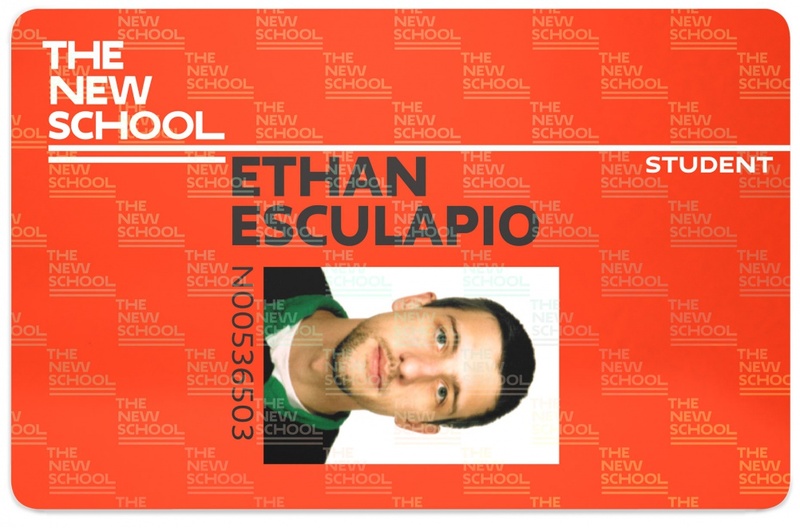 The New School says it is rebranding now to reflect the fact that it has “evolved its mission and vision over the past few years in order to better prepare students to contribute to and succeed in a rapidly changing society”. 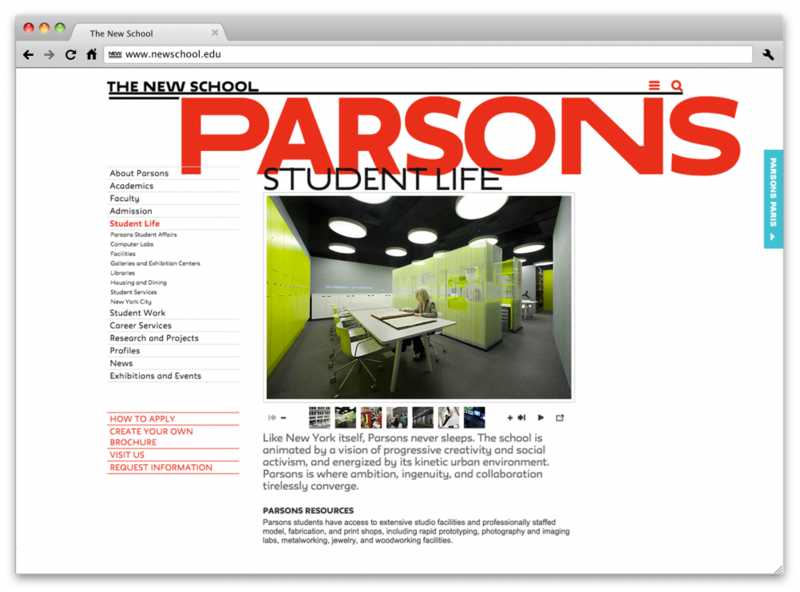 Pentagram says the new identity also had to distinguish the relationship between The New School as a university and its constituent schools and evolve over time as The New School redefined its programmes. 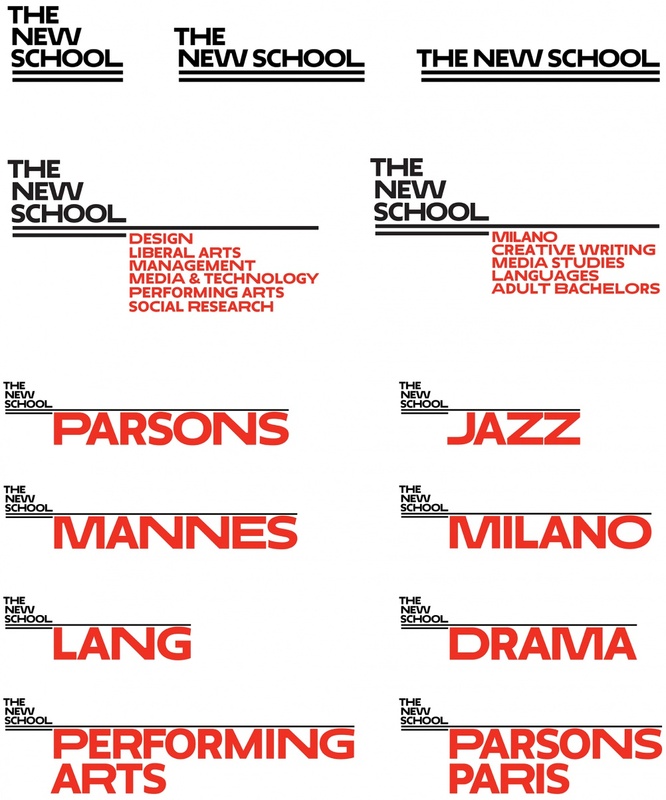 Scher’s new identity covers all aspects of The New School, including Parsons and the New School for Jazz and Contemporary Music – a typographic solution is used to differentiate the various schools. 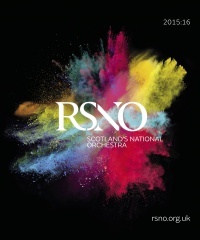 The new identity is based on a bespoke typeface, called Neue (German for “new”). 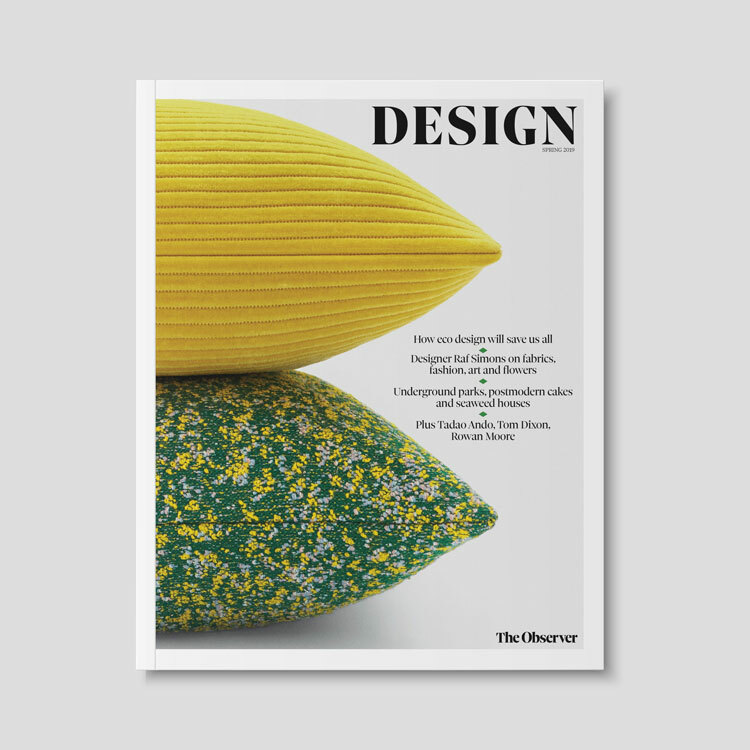 It is a customised version of the Irma typeface created by Peter Bil’ak for The New School’s new University Center building, which was designed by architect Skidmore, Owings & Merrill. According to The New School the Neue typeface, which was created by Bil’ak, uses regular, extended and very extended widths of the same font “seemingly at random” and in a “revolutionary” manner. Use of the different widths is dictated by a custom algorithm, the school says. 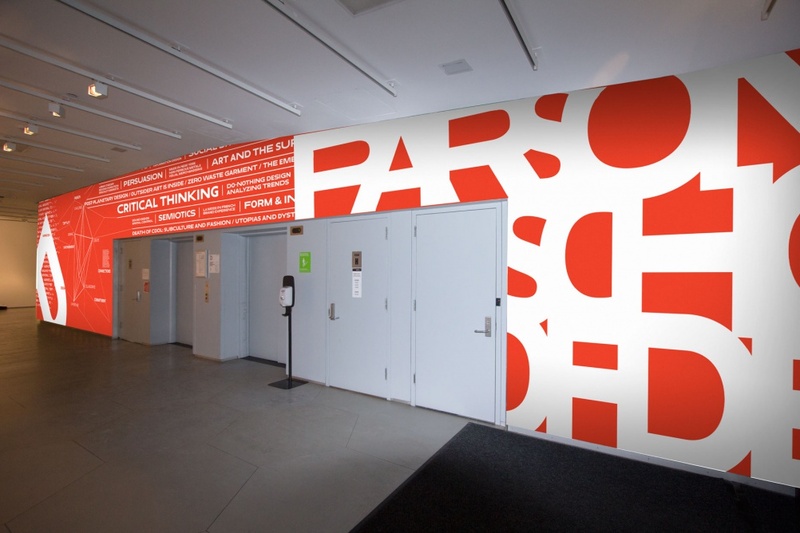 The identity also uses a specially commissioned Pantone colour, called Parsons Red, while the parallel lines in the identity are inspired by the horizontal striations of the School’s Joseph Urban building, on 12th Street and Sixth Avenue. 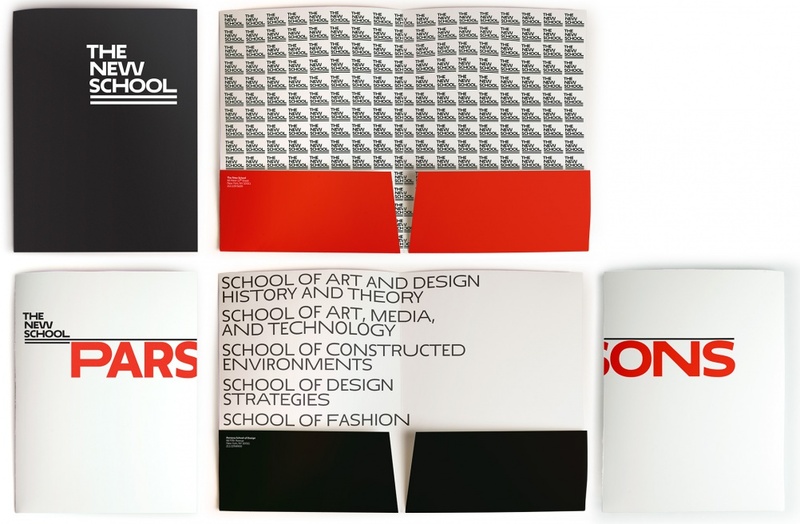 According to Pentagram, the bars “anchor The New School wordmark and provide an organising device to display the names of the various schools and programs at different scales in relationship to the logo. 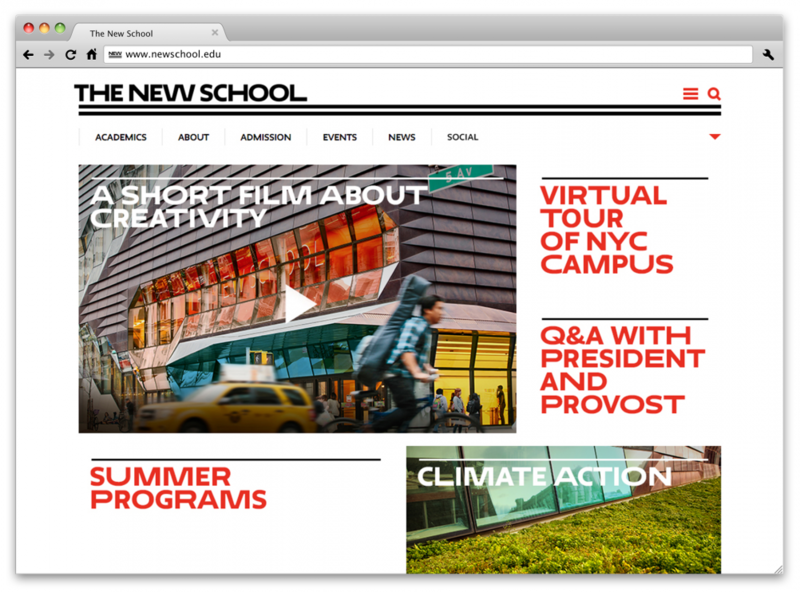 Scher says: “The New School is a university committed to innovation, academic freedom and experimentation. 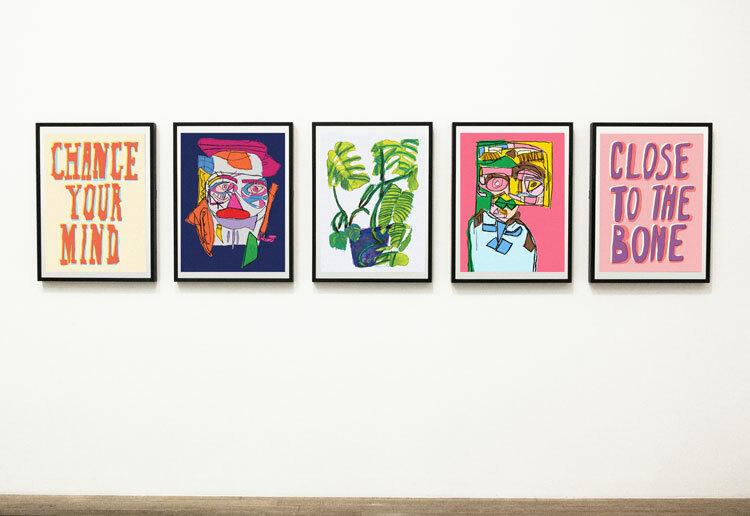 The New School president David Van Zandt says: “The New School is reimagining what it means to serve our students and to prepare them for a global economy. 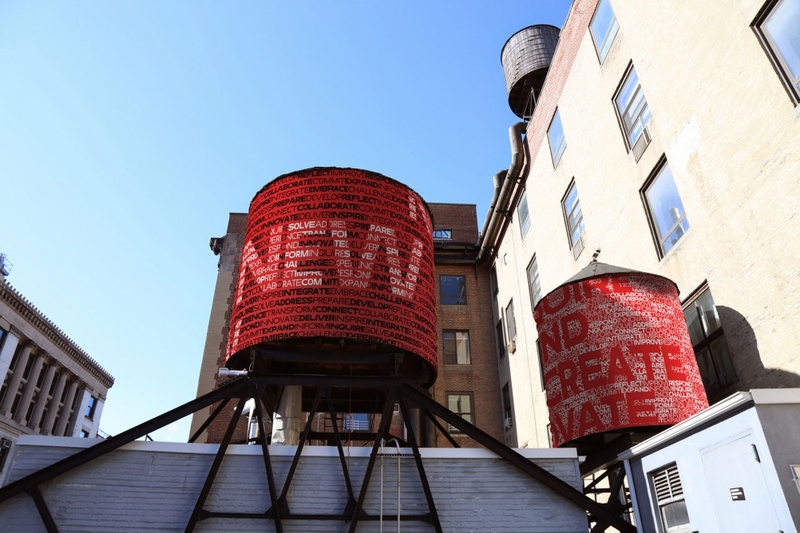 To introduce the new identity, Scher worked with students at Parsons to create a special environmental installation at the Sheila C. Johnson Design Center, as well as on the campus water towers. 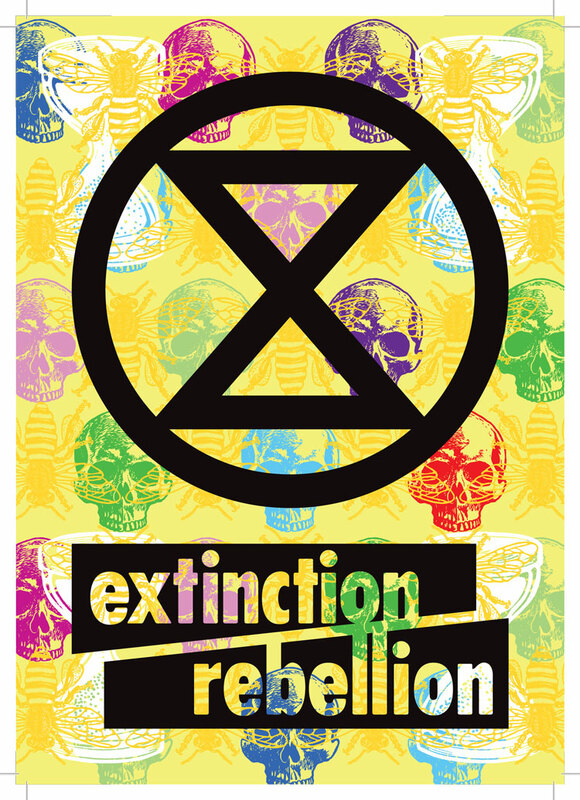 Sorry but I can’t say I like this at all, the typeface isn’t particularly nice and mixing up the weights appears awkward and amateurish rather than ‘revolutionary’. 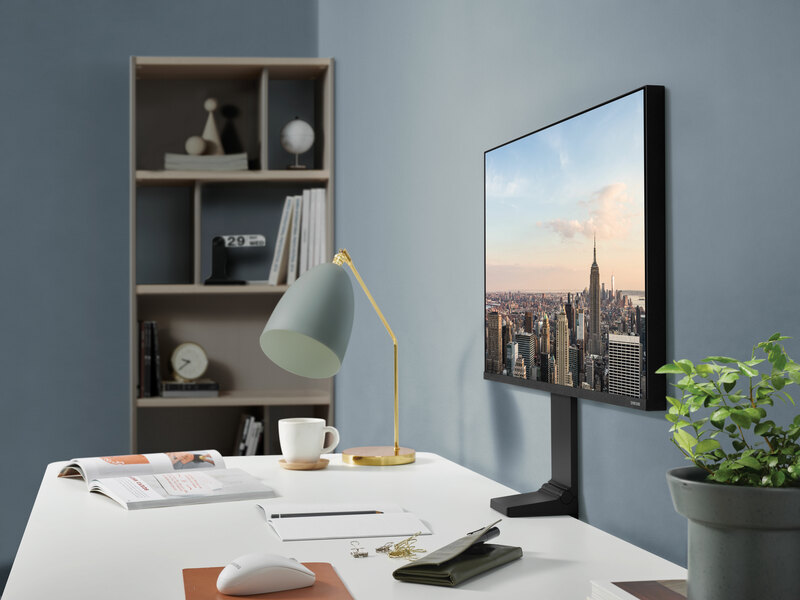 Everything shown feels like it came out of the 1970s too. Like the concept, not the visuals. Yep this is really revolutionary. Can’t say I’m a fan if I’m honest.